... three needs less puff! 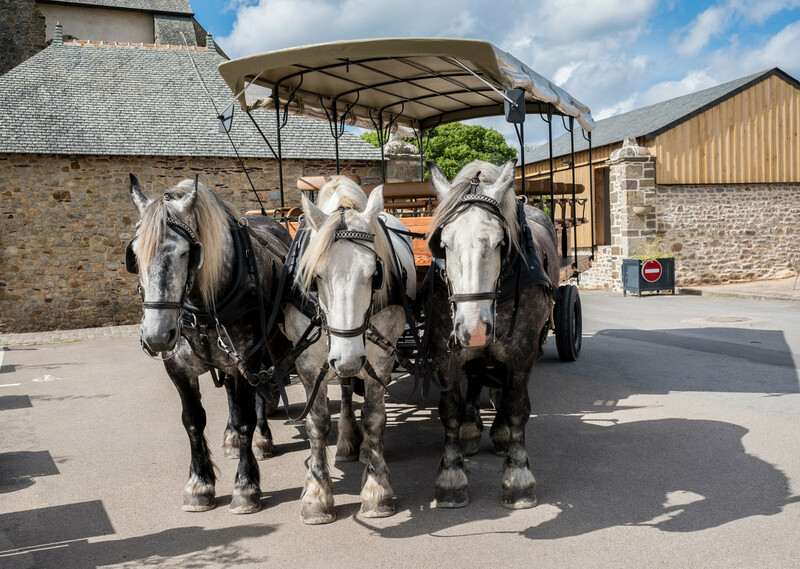 These magnificent beasts are on daily duty taking visitors to Paimpont on a tour of the village in this perfectly restored 'caleche'. The owner has two more horses so they do all get days off. They're beautifully matched and am particularly pleased to see how well they seem to be cared for. They are beautiful. Hopefully they all like one another as it's clear they spend a lot of time together! Magnificent is just the right word!